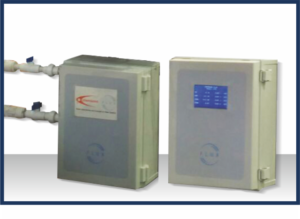 FLUX Intelligent System is the first distributed water treatment control system in India that is powered by Artificial Intelligence. It is an evolved version of the conventional DCS and SCADA system. It combines the power of automation with that of machine intelligence to deliver the most optimized results in the industry. FLUX Intelligent System complements an existing SCADA solution with its intelligent process monitoring and action recommendation. FLUX collects and archives data over almost any communications medium using a wide variety of protocols. There are absolutely no tag licensing requirements or size restriction on the real-time or included historical database, given the system is cloud-based. New field device, data points, collection schedules, and historical archives can be added and removed on a live system without affecting ongoing data collection and access to other data. Data collection and decision making are decentralized however all data is fed to a common database. Such architecture retains the benefit of decentralization while utilizing aggregated learning.